Anyone that knows me knows how much I love living in San Francisco. Everyday I love the new energy, I find a new secret spot and a lot of days I get to go into clients homes. I love going to clients homes to see how they live, it is one of my favorite parts of my job. 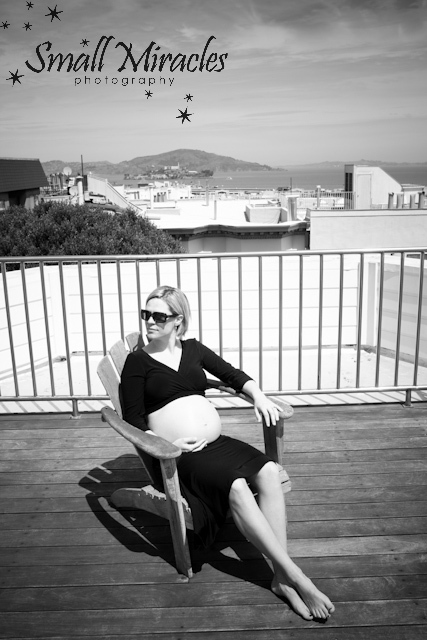 I had a recent maternity shoot with Christine and Will in Russian Hill. Once I got there Will said we could shoot up on the roof deck. Oh, how fun! It was an absolutely amazing day. We were actually getting pretty toasty up there. Will was able to stay for a few shots before he had to head out to work. He kept us laughing. I recently hosted photographer, Anne Ruthmann, from Boston, at our home. When we toured the city she said, “Everywhere you look there is a view!” This is so true. 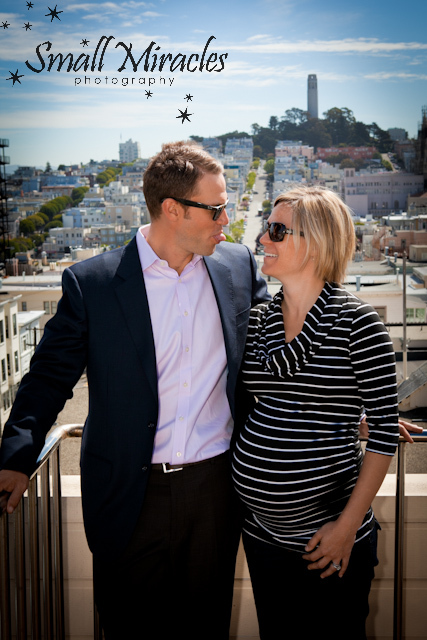 I loved the views of Coit Tower, Alcatraz and the bay from Christine and Will’s rooftop. Gorgeous. What a really great couple. They were both very fun and relaxed. That definitely makes the shoot easier for me! They are going to be wonderful parents.